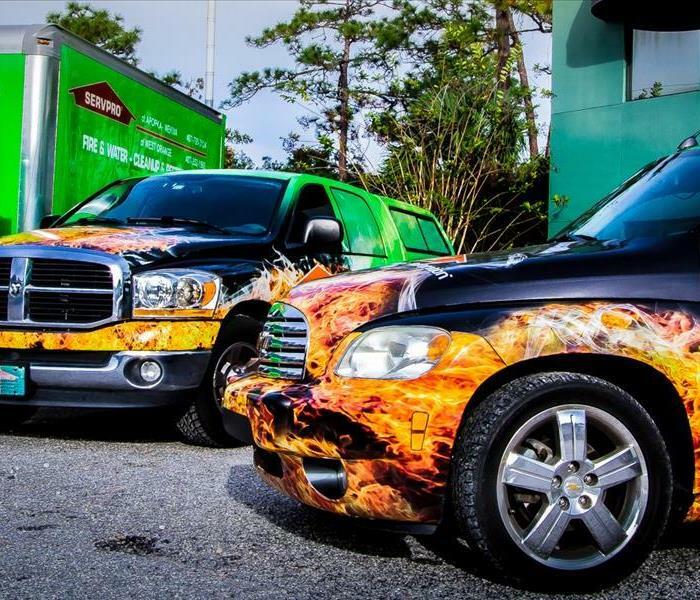 When it comes to restoring your fire damaged home in Lake Buena Vista, our crew is here to help. 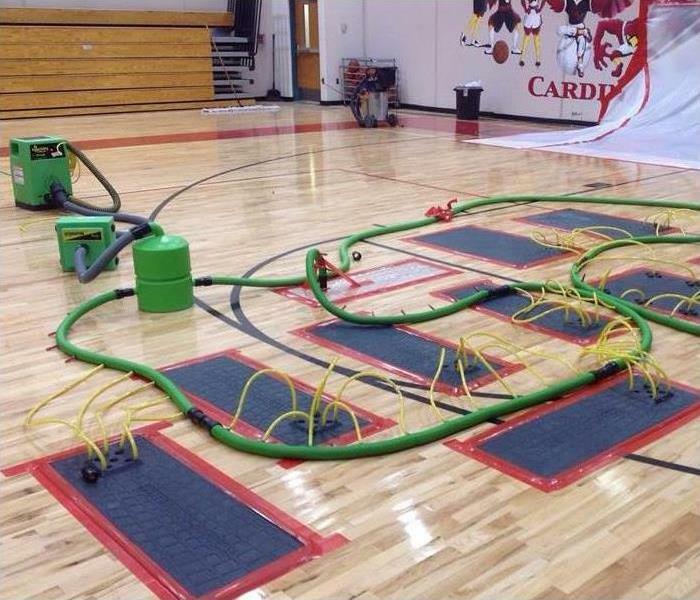 We have the training, state-of-the-art equipment, and expertise to handle any size disaster. 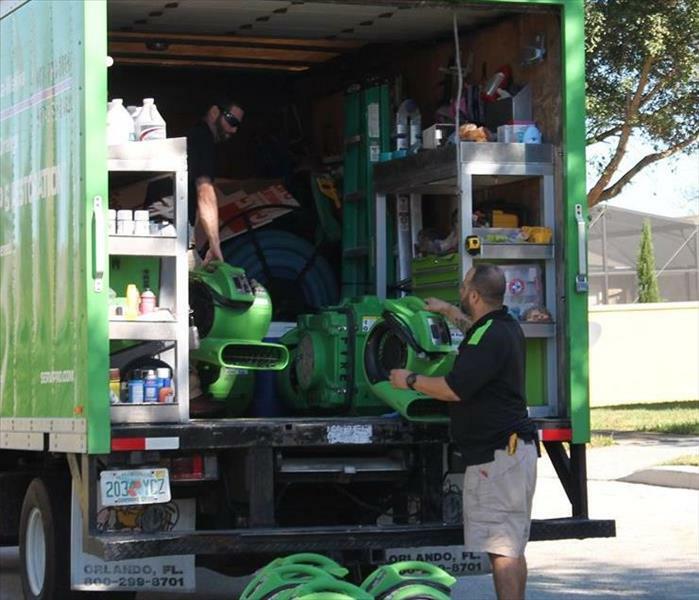 Our team at SERVPRO of West Orange can restore your Lake Buena Vista home to pre-damage condition quickly and efficiently. 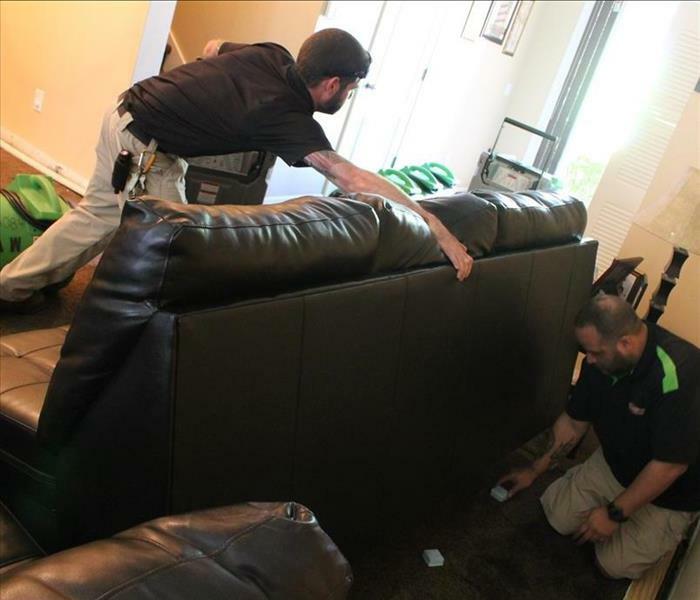 SERVPRO of West Orange will make it “Like it never even happened.” We are ready to respond 24/7 to your water damage disaster. 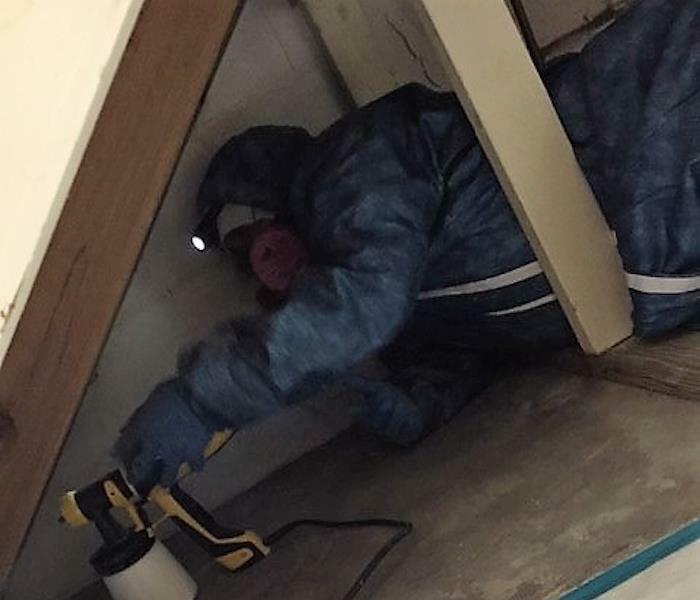 We have the training, water damage experience, and advanced equipment to restore your Bay Hill home to pre-damage condition. Sometimes it is these short storms that cause the most damage. They bring several inches of rain all at once, which can lead to a flood in your home or office. 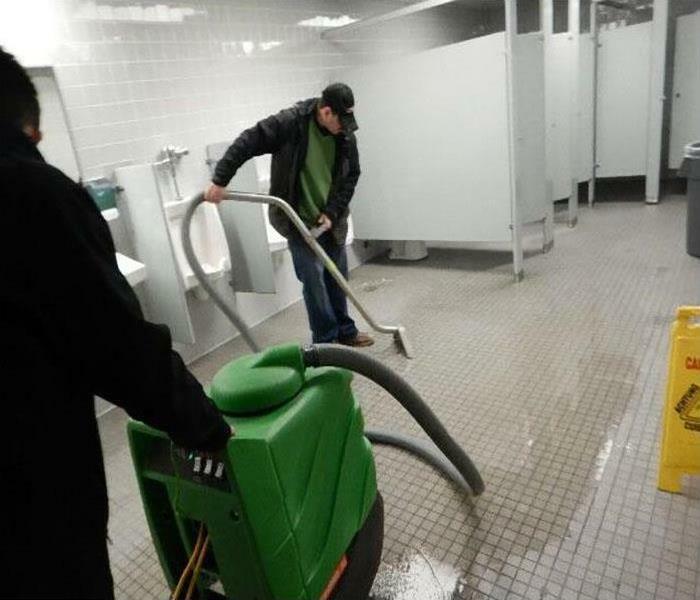 If that happens, don't give SERVPRO a call. Our team of experts will have the water gone and your home or office up and running in no time. 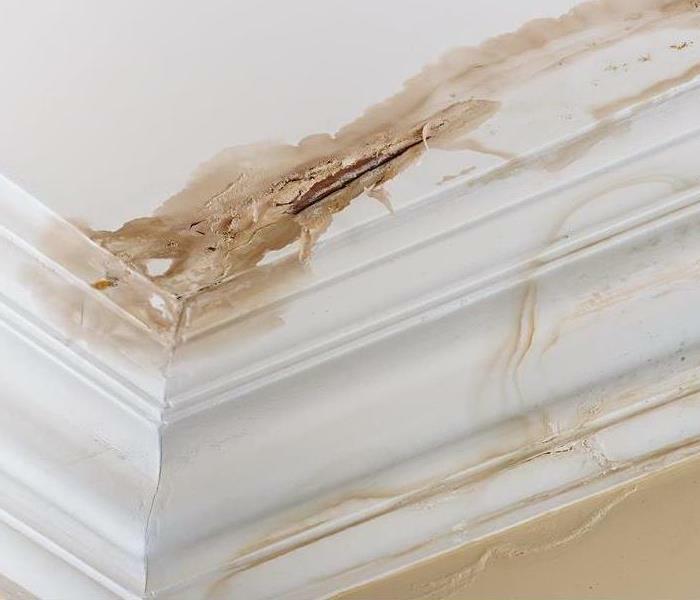 Even the cleanest home or office can have a mold issue. There is simply no way around it! There are thousands of mold spores in the air everywhere you go. It is a natural part of our environment. The good news is that most mold, while not pleasant to look at, is completely harmless. Of course, the next question is "how can I tell the difference between mold that is harmless and mold that is a problem?". Fort that you should call SERVPRO. 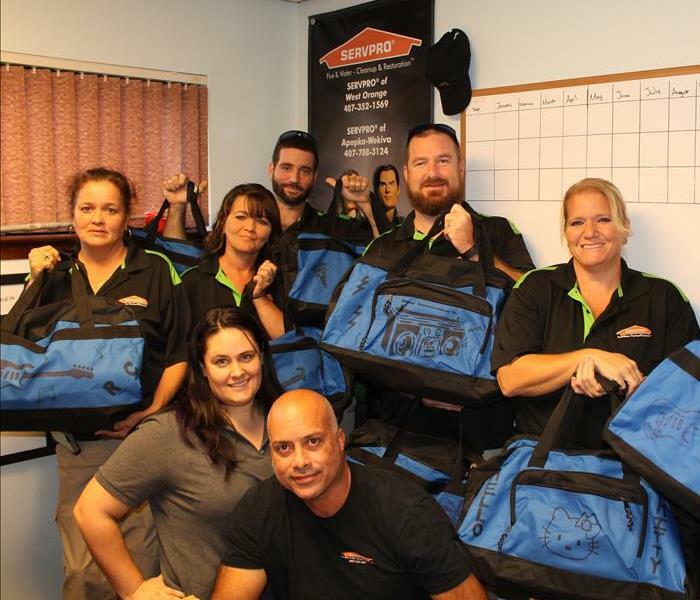 Our team of trained mold experts can tell what type of mold you have and then get rid of it. In many ways your business can be an even bigger fire risk than your home. 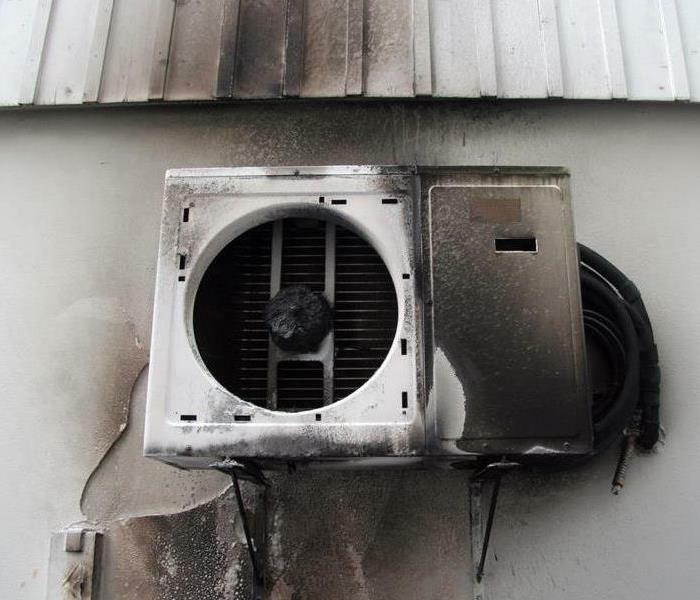 In this picture a commercial air conditioning unit caught fire and filled the office with smoke. 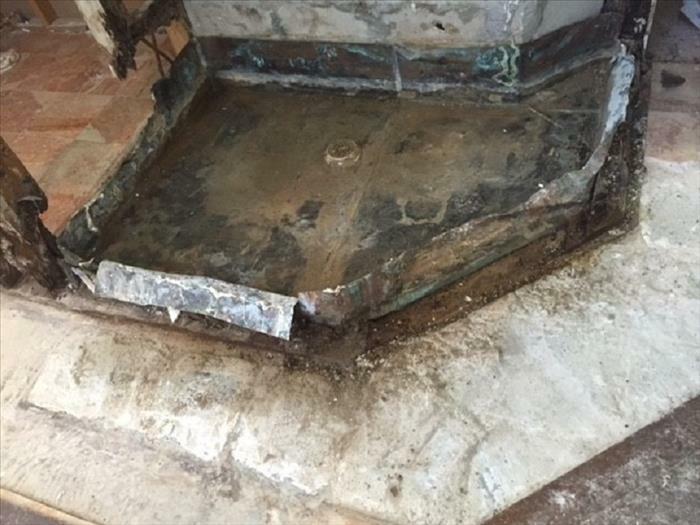 SERVPRO resolved this problem and we can help you get back to work too! 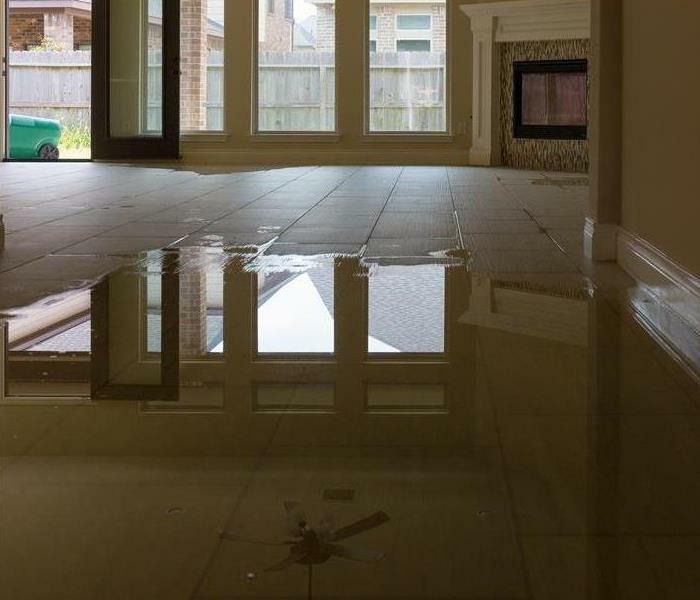 Water damage doesn't just happen at home. It can be an issue at your business too. 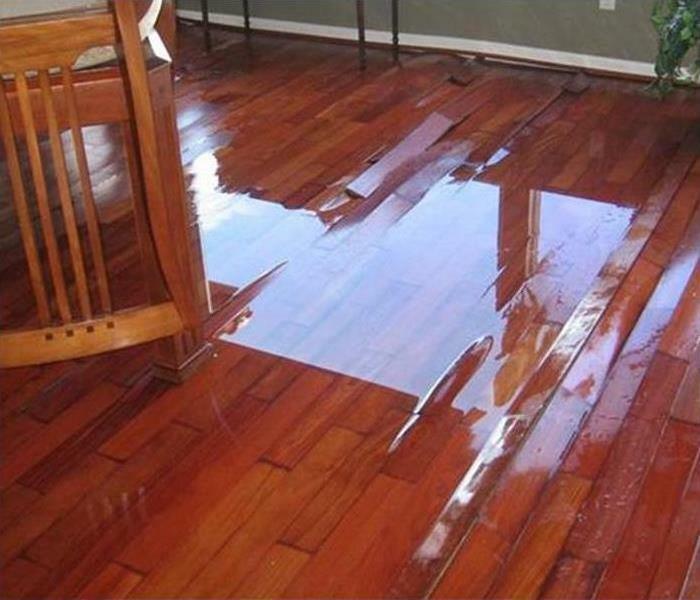 If you see water damage like this you have a leak that needs to be stopped ASAP. 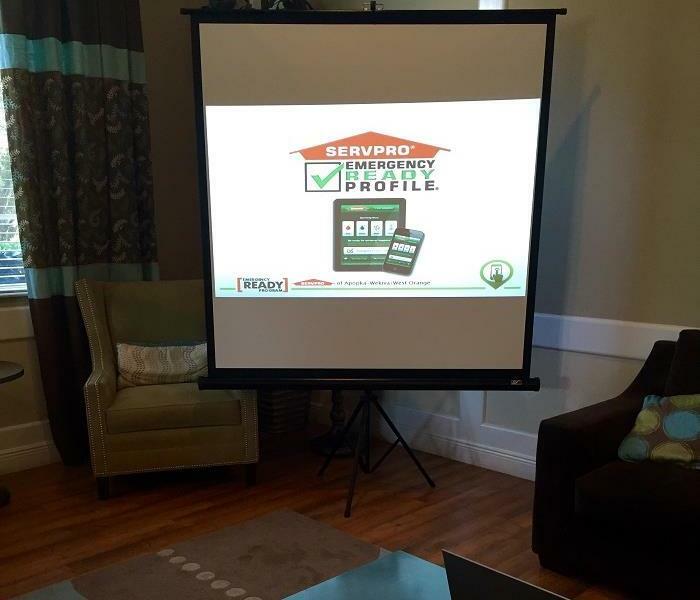 Give SERVPRO a call today. One of the most common and expensive types of storm or hurricane damage is roof leaks. While the damage may look small, it could be hiding larger issues on your roof or in your attic. 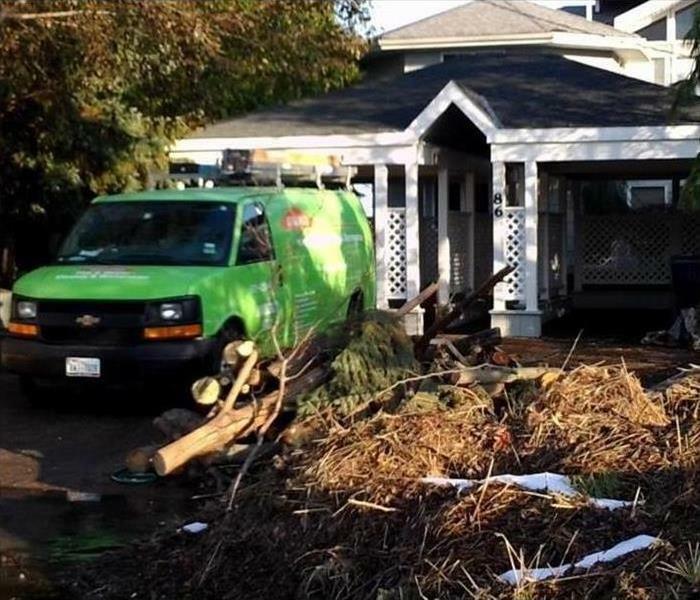 SERVPRO will help you determine the amount of damage and then work with you and your insurance company to get the repairs done fast. 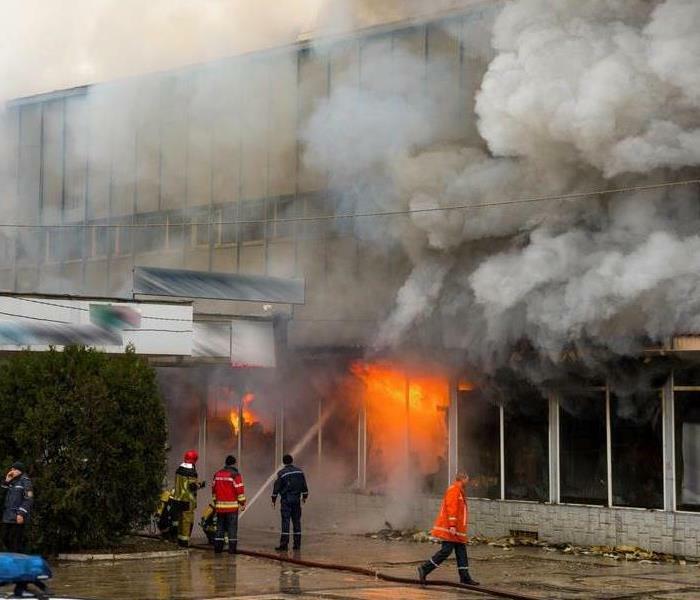 When your business suffers a fire-related loss you need to respond quickly and efficiently. 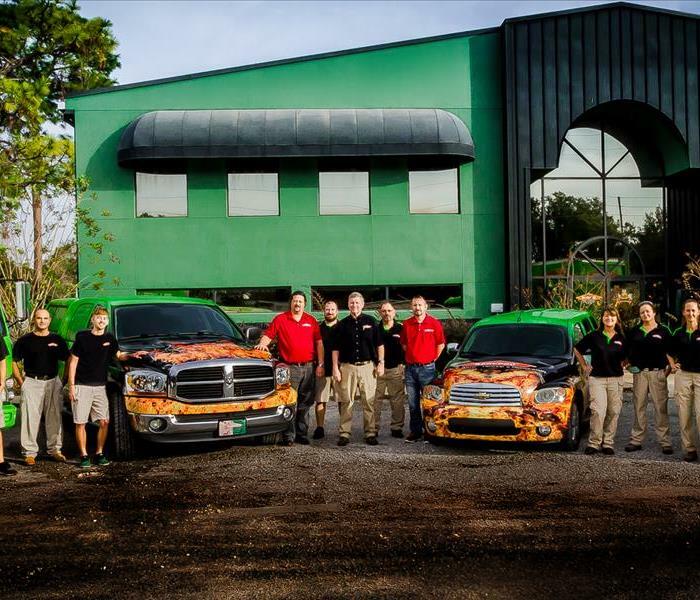 SERVPRO will work with you and your insurance company to get you back to work ASAP. 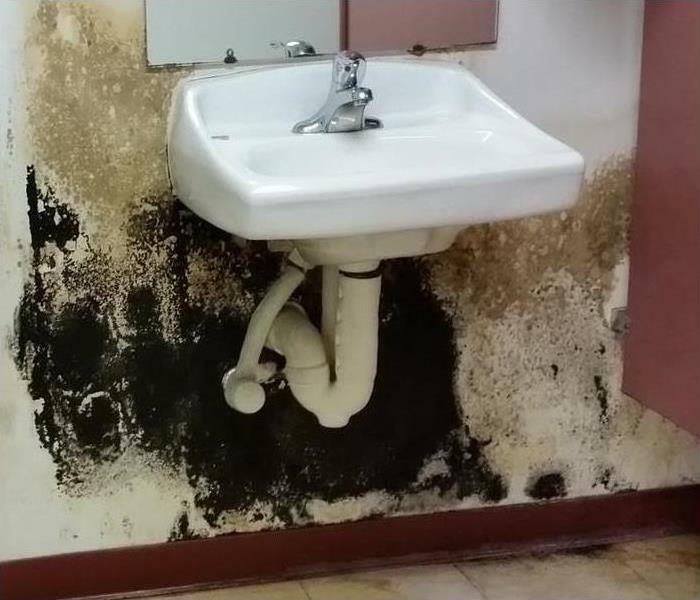 This picture shows an example of some of the visible signs that you home or business may have a mold issue. 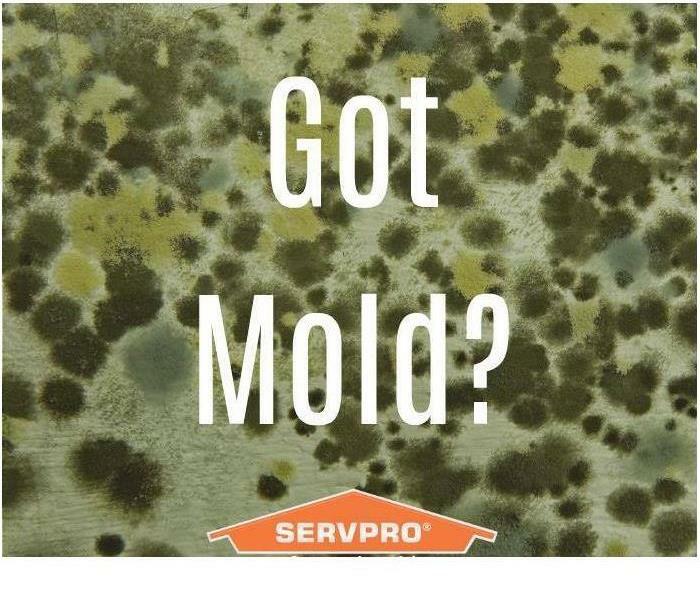 If you see mold like this give SERVPRO a call! 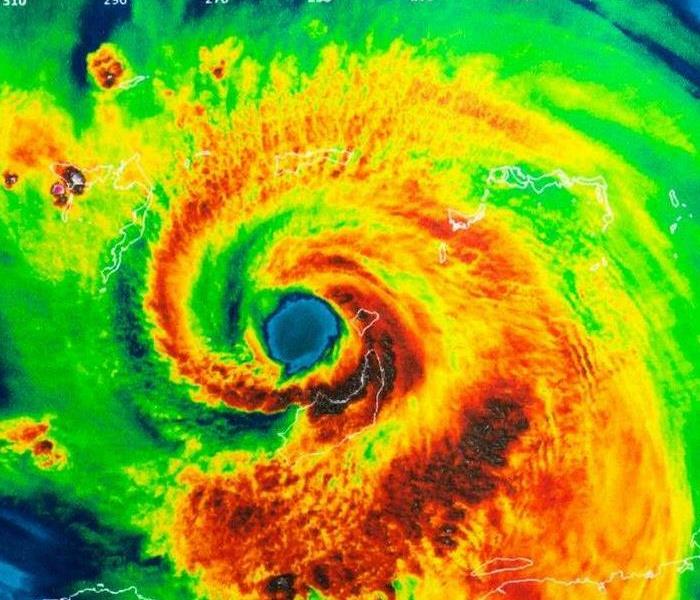 If you live in Florida there is simply no way to avoid large storms and hurricanes. 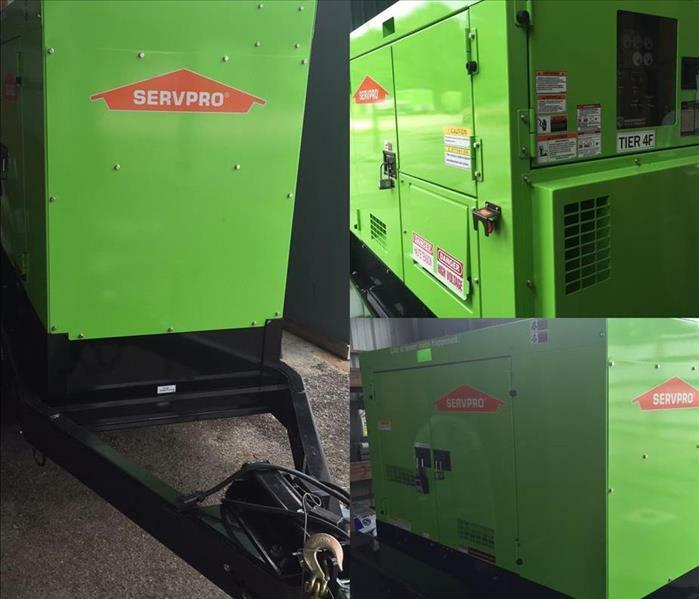 SERVPRO is here 24/7 365 to help you recover from flooding, mold, or any other storm related damage. When prolonged rainfall hits it can cause disastrous flooding. Some homes can get more damaged then others and with this home so much water came in that the home became flooded and had to be completely gutted. 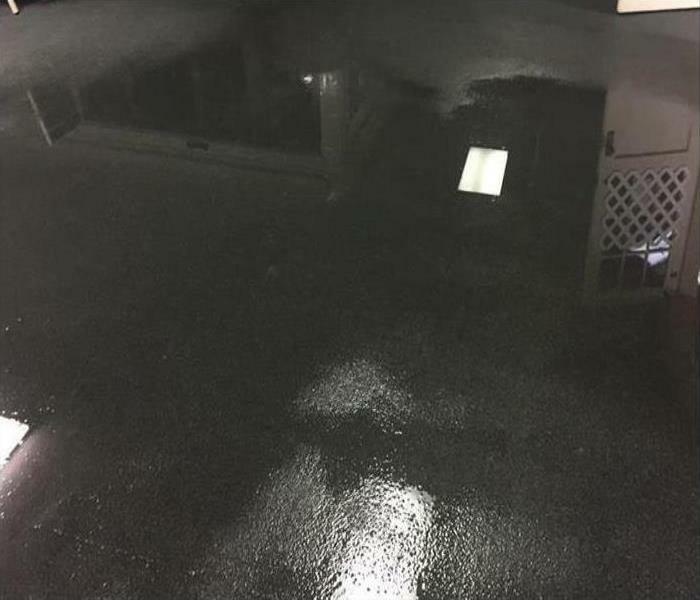 Many homes and businesses can be ruined with a few feet of standing water. That's where we come in and make it good as new. Hurricanes are a hassle but when it comes to your business it can be a much bigger problem than we want. Our main goal is to get your business back up and running as quick as possible so that your business doesn't lose business. Our costumers are our first priority and we want you to be as happy as possible. Another way to prevent losing business is have a preparedness plan set so if any disaster were to happen you would have a plan that would help get your business back up and running even faster than normal. Storm damage can be very problematic in some situations and we try to get you through it with the most ease as possible. Hurricanes are a big problem here in Florida and Flooding can happen. Which is caused by the heavy rain which can lead to major damage to homes and businesses. We help remove the water and repair the damages in most cases. 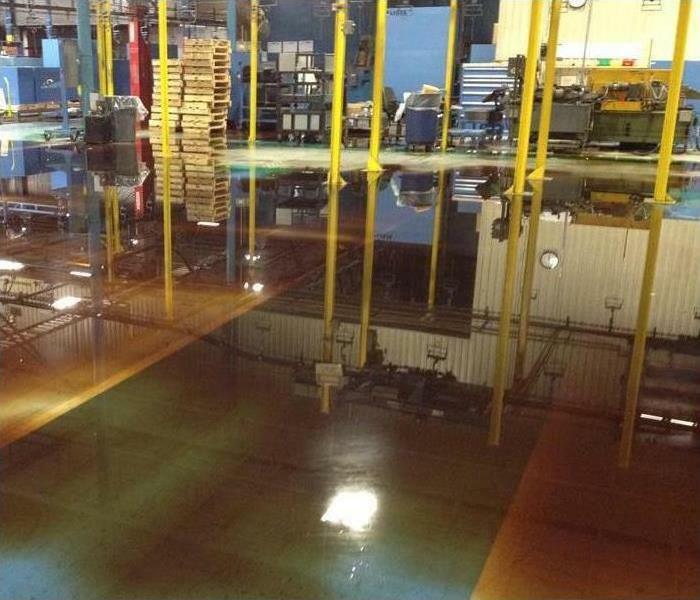 Water damage in a commercial building can be particularly troublesome because it can affect more than a single occupant of the building. This is particularly true in multi-floor buildings, where water can travel from an upper story all the way to the ground floor. Multiple businesses or offices can be put out of commission until water damage is corrected, leading to loss of income and even severe hardship for the employees if they are unable to return to work for a period of time while damage is dealt with. When floodwater contains multiple contaminants and viruses that present serious risks of illness, it is considered black water. Flooding is a major risk in many locations throughout the US and can bring about black water contamination. Several factors contribute to flooding, including snow thaw, storms and hurricanes, all of which can cause sewage backflows, as well as rising water from rivers, streams and seawater.Remediating black water contamination in a building requires careful planning and utilization of specialized equipment. A licensed contractor will know how to assess the damages, sanitize and dry the affected areas. When you own a commercial building, the stakes to keep your occupants safe is much higher. Whether you run a school, hospital, office building or government structure, indoor air quality is by far an important factor. What happens when your occupants start complaining of a musky smell, or even worse, their allergies are acting up? You need to make sure that if mold is the culprit, that you act fast to avoid any further damage. 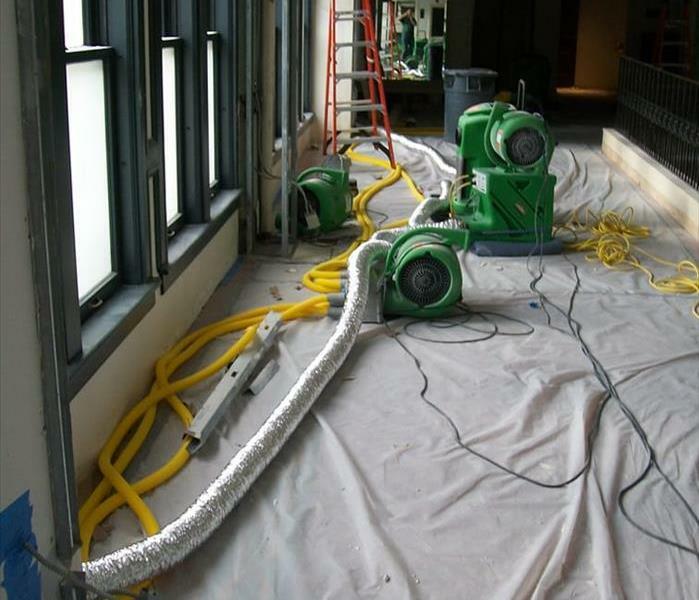 Mold Removal Team understands the nuances of remediation of ANY commercial building. If immediate clean up is not done, it can lead to devastating effects. Within minutes of fire and smoke damage, appliances and many items will discolor to a yellow hue. After a few hours, acid will stain bathrooms and many other areas of the home or business. Within days, walls will discolor permanently and items will begin to rust due to the acid residue. Finally, after weeks the cost of clean-up will become substantially more expensive. The building and furnishings can be permanently damaged by the acid left behind. Soot residue will be layered throughout the home or business. The seal of Certification by the Institute should be shown on any provider’s website. This shows the customer the reliability and the expertise of the service provider. When our technicians arrive at your home they are fully prepared for any situation. 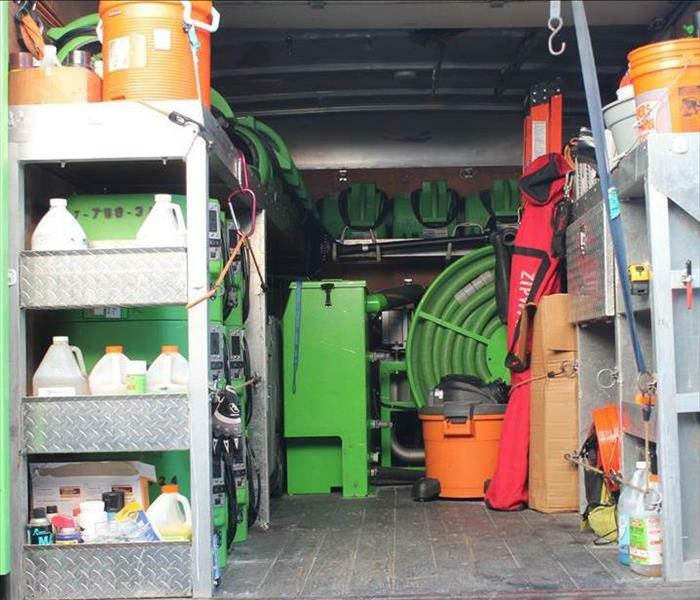 Our technicians take pride in keeping their trucks clean and organized so that we can be faster to any size disaster! 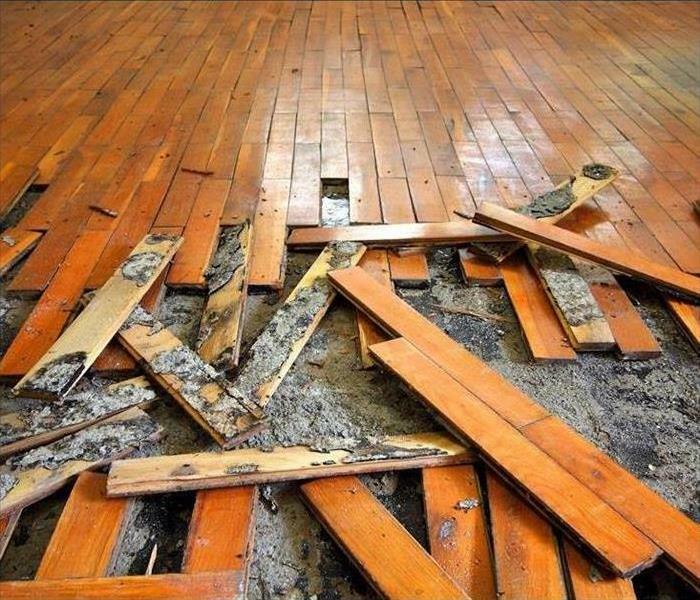 Technicians block or pad furniture to ensure it is not damaged by wet flooring after a water loss. This also protects carpet from stain or dye from that may come off of wet furniture after a water loss. 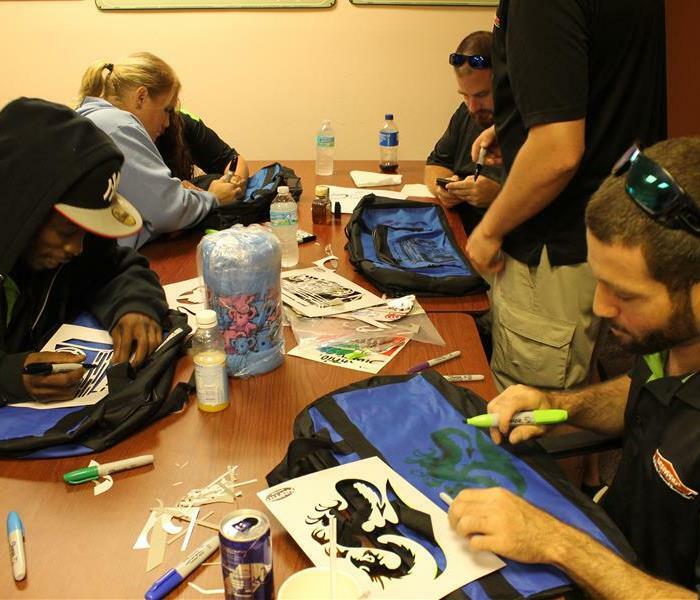 Our team loved working on the bags for Together We Rise! This charity provides foster children in our community with their own bag to carry their belongings in. The foster agency we worked with told us that many children only have a plastic grocery bag to take their items from place to place. Our team recently had the honor of participating in a charity to benefit children in our area who have to go into emergency foster care. Together We Rise is an organization that helps any team put together bags to donate to these children. Often the children are given a grocery bag or trash bag to carry their belongings in. Our team decorated and donated 12 bags! Our crews arrive at a water loss and begin unloading equipment to be set. Our promised arrival time to a loss is within hours. However, our average response time is typically within hours for a residential loss and within an hour for a commercial loss. We come prepared with our very own DRYVEX machine. 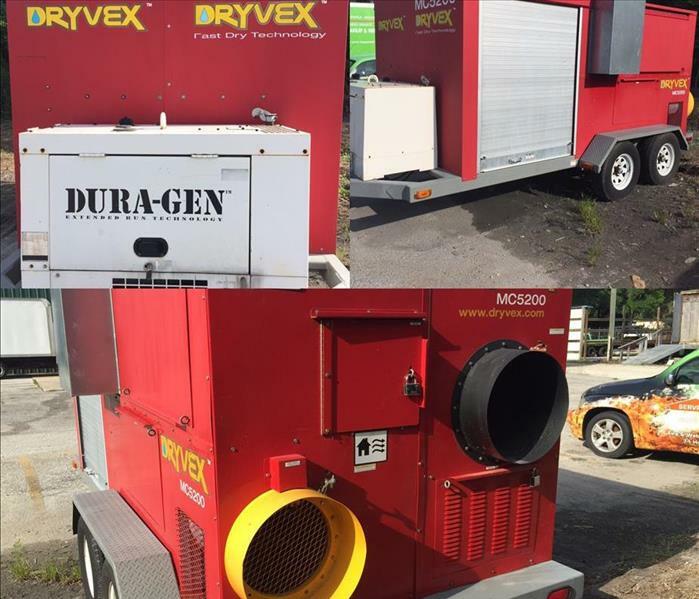 The DRYVEX is basically a drying machine on steroids. We use this machine to dry really big residental homes or comercial buildings. It is fantasitic to have our very own drying machine. 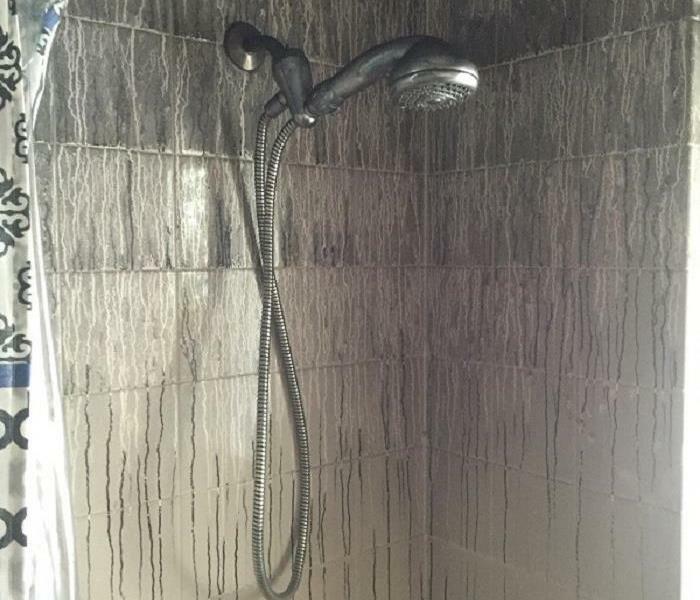 It especially comes in handy when you need to get to a job on short notice and need to start drying as soon as possible. This machine helps in more ways then just one! When our priotiy is to get your home or buisiness back to you with key in hand in the shortest period of time as possible. Our water techs take pride in their work. They arrive ready to work and with everything needed to start the job if possible. We come overly prepared so we can take all if not some of the stress that usually comes along with these mishaps. So you can rest a little more easy and not worry as much. Our techs are more then willing to answer any questions to ease your mind. If they can not answer your question they are qiuck to go and find the answer. Our team has our very own high powered generator. We always come prepared and having our very own high powered generator comes in handy. Even more so when the resident or commercial building doesnt have power and we need to get in there and get straight to work. Especially if its a water damage and we need to start drying the area right away. 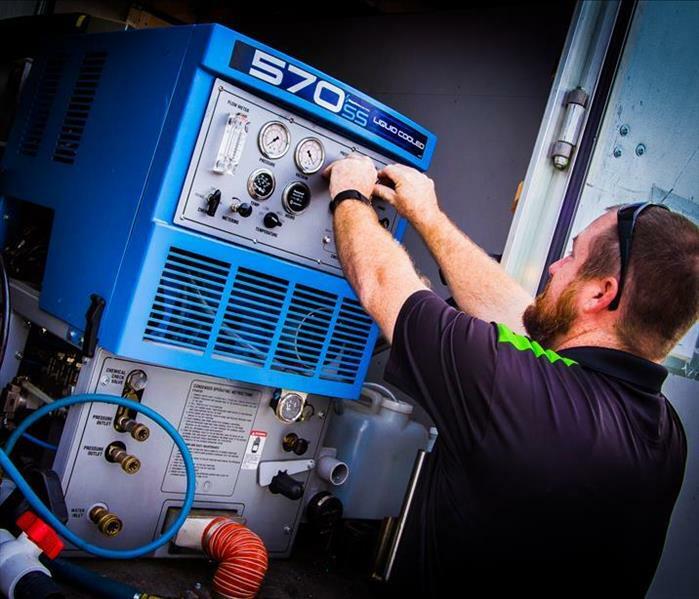 Our Generator is mobile and ready to go at anytime we need it. One of the main reasons for this generator is so we can get our job finished as soon as possible and get the key back to you in hand in the least amount of time possible. Mold is a really big bother and not only some of the time but all of the time. Mold grows on an abundance of things but it seeks MOISTURE, WARMTH, and FOOD, and all three conditions are necessary for it to grow. Mold is most likely to find a place to grow in a bathroom, basement or kitchen, but it can grow in other rooms if conditions are favorable. Our team is ready for ANY disaster! We are here to please our customers. Our team has one main goal and that is to get your home or your business back to its original state as soon as possible. 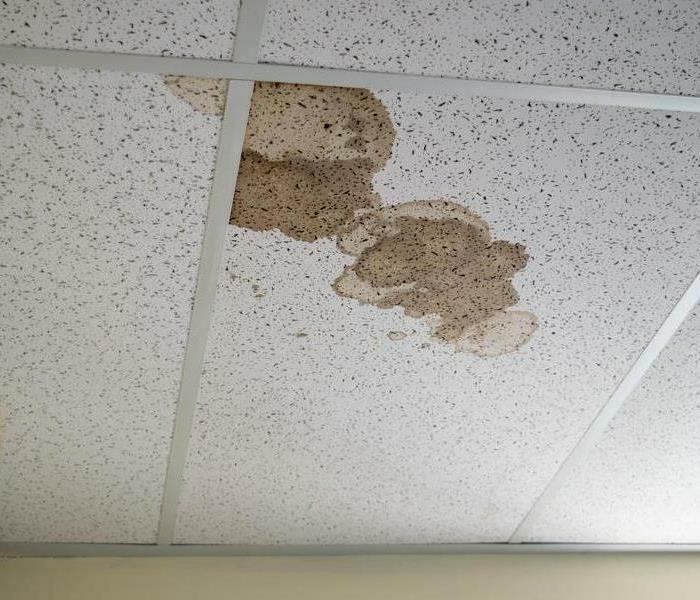 So when you have a water, fire or mold damage call us first and we will return it to you "Like it never even happened." Our crew uses this procedure to prevent any cross contamination. 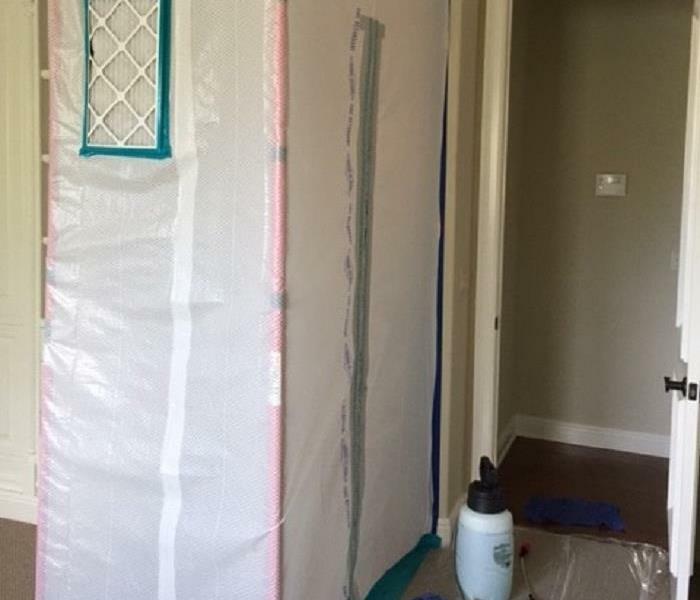 This meaning that no other part of your home or even your business gets contaminated with any mold particles that might travel through the air. We take care of our costumers like if they were family and make sure that absolutly nothing harms them. Safety is a must when it comes to anything harmful especially mold. Not only for you as our costumer but our crew themselves. Our crew gets completly dressed up in suits and a mask with special filters. This prevents them from getting sick by breathing it in or by touching their skin. Our crew takes every procedure it takes to stay safe. What to do in the Event of an Electrical Fire? In case of an electrical fire, make sure you do not use water to put out the fire. If the fire is small and you see something starting to smoke and catch on fire, turn off the circuit at the breaker, if its plugged into a wall then unplug and use a fire extinguisher to put out any flames. If no appropriate fire extinguisher is available, you can also use baking soda to extinguish an electrical fire. Typically, an overloaded circuit will flip a breaker. If you know a circuit is being overloaded but the breaker didn't trip, if you can safely do so, you should turn off thebreaker yourself or flip the main breaker to the whole house. If you have had a fire, find an electrician to evaluate what you'll need to do to prevent another fire from occuring. Our fleet consists of many different types of vehicles to ensure we can handle any situation, large or small. Make sure to say hi when you see us on the road! 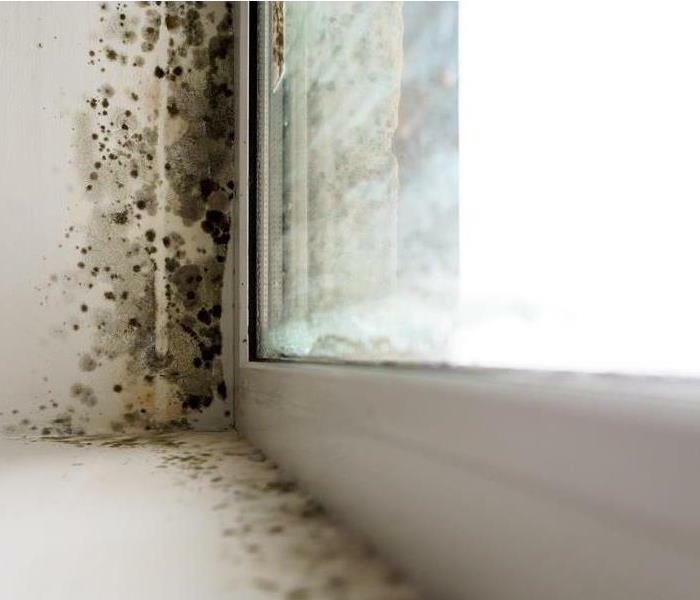 Mold is microscopic and float along in the air, and may enter your home through windows, doors, or AC/heating systems or even hitch a ride indoors on your clothing or on a pet. Mold spores thrive on moisture. 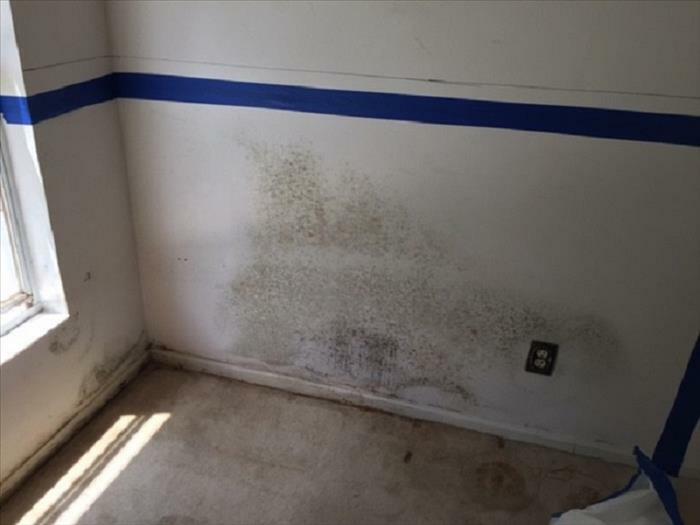 Mold can quickly grow into colonies when exposed to water or moisture. Limit movement in the home to prevent soot from being embedded into upholstery and carpets. Keep hands clean so as not to further soil upholstery or walls. Place clean towels or linens on rugs, upholstery and carpet traffic areas. Don't attempt to wash any walls or painted surfaces or shampoo carpet without contacting your SERVPRO Franchise Professional. Don't use any canned or packaged food or beverages that may have been stored near the fire. Bedrooms are where fires often start. 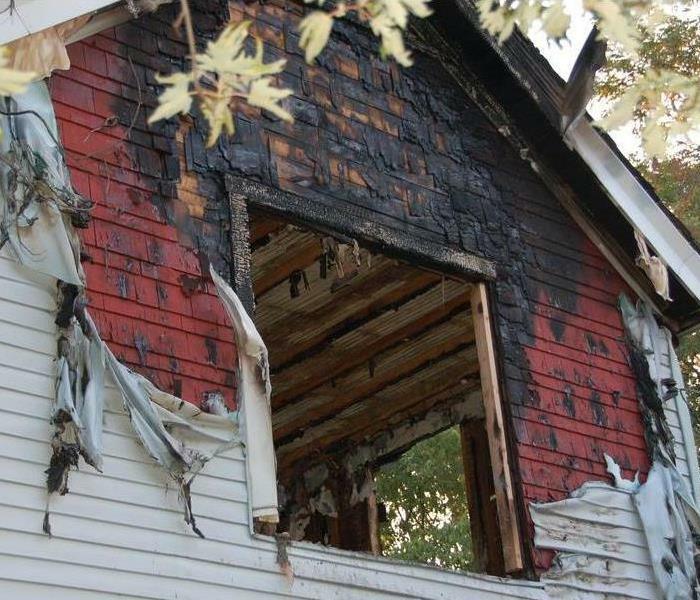 More than 600 lives were lost due to fire that started in the bedroom. Common causes of these fires are electrical devices that were left unattended. These are just some basic reminders to keep you safe. Children are at a higher risk for deaths caused by bedroom fires. They are prone to playing with matches. 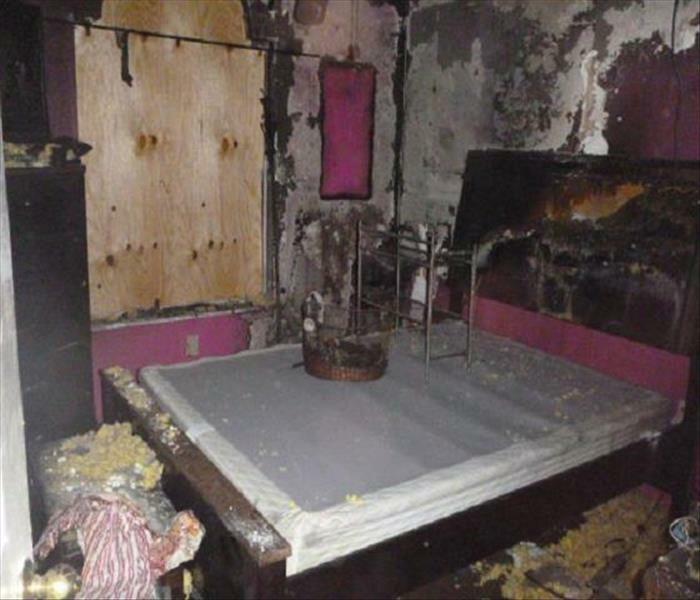 In their bedroom, minimize materials that are easily combustible. Inform your child of the dangers of playing with fire. Do not plug cords near beds. Do not trap cords near the wall or place them under carpets. Also, do not leave laptops on your bed. Bedroom fire safety is not difficult. Giving attention to small details can make a big impact, and will give you safety and peace of mind. Emergency preparedness and knowledge of fire safety are a must in order to protect your family. 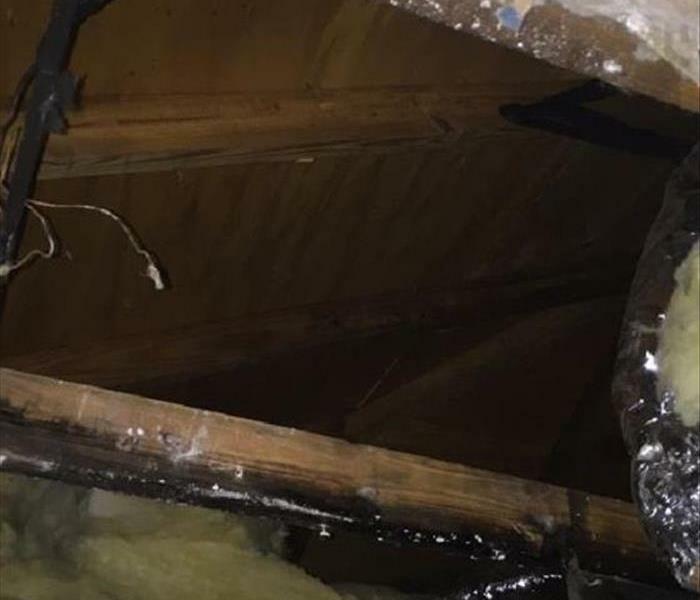 The single most common cause of residential attic fires is electrical malfunction. When circuits are overloaded and the breaker fails to respond appropriately, the excess “draw” could result in a fire. Roughly 5% of residential attic fires are caused by home heating systems. If your home is run on a traditional heating, ventilation and cooling (HVAC) system, it’s a good idea to have it inspected at least once a year. An estimated 13% of residential attic fires are caused by natural sources. 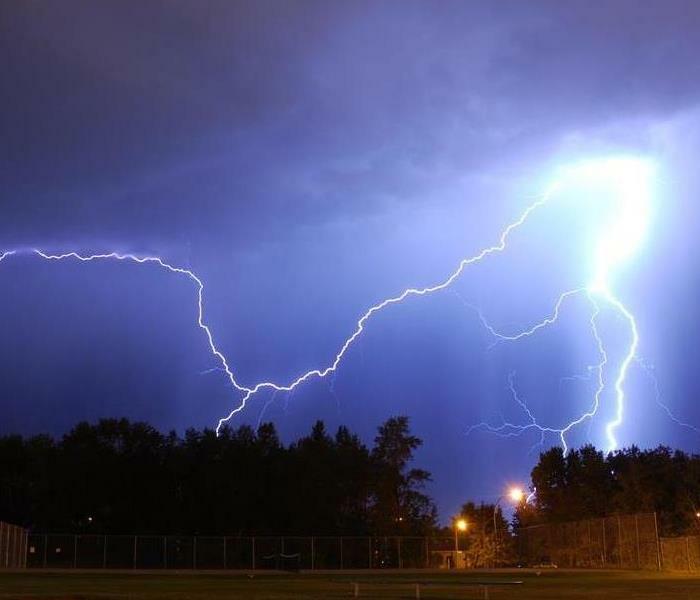 This may include lighting, fallen trees or even rain water dripping onto electrical outlets and wires. Unfortunately, there’s no way to completely protect your attic against natural fires such as this. However, you can ensure the roofing is intact and use fire-retardant materials to decrease the chance of natural-cause fires. We always want our community to always be prepared in any kind of disaster. So we try to keep them informed by giving presentations on how we can try to help keep them safe. Also, if in the event a disaster does occur we let our community know how we can assist them so we can get them back in their home as fast as possible.